Click on image for a detailed view. 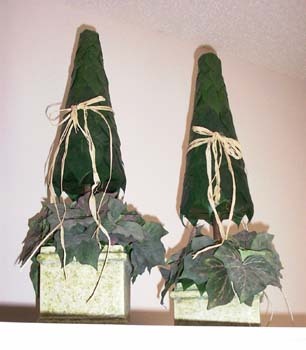 Silk Layered Leaf topiary with Ivy & Natural Raffia Accents in Custom Painted Ceramic Base. Southern Charmz Design Blog: Charmed A.S.A.P.